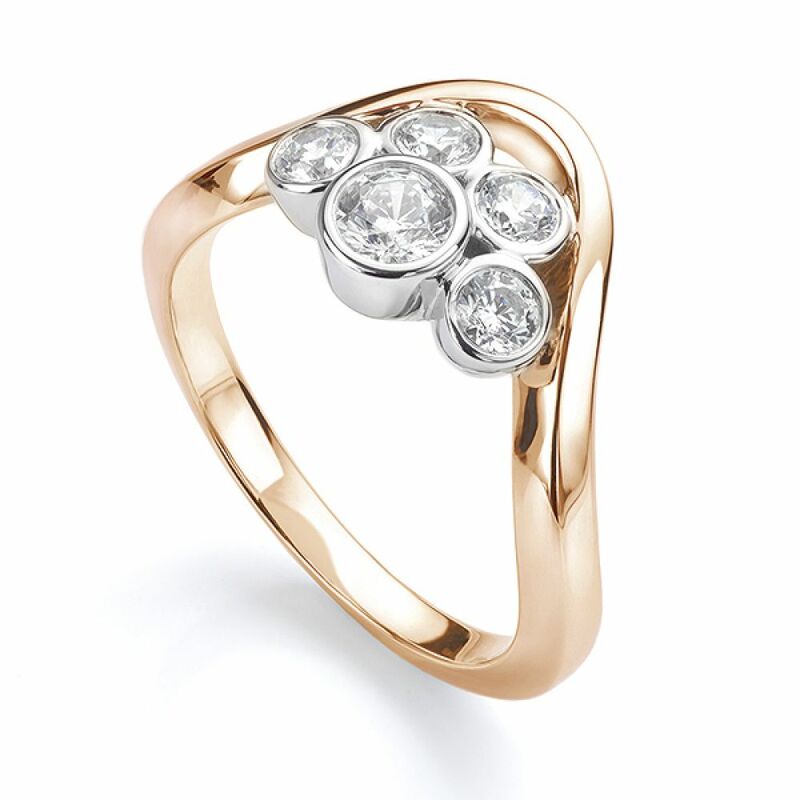 Unique and eye-catching, the Odessa diamond bubble ring features an arrangement of five round brilliant cut diamonds, embraced within a flowing band, in a striking and truly individual ring design. 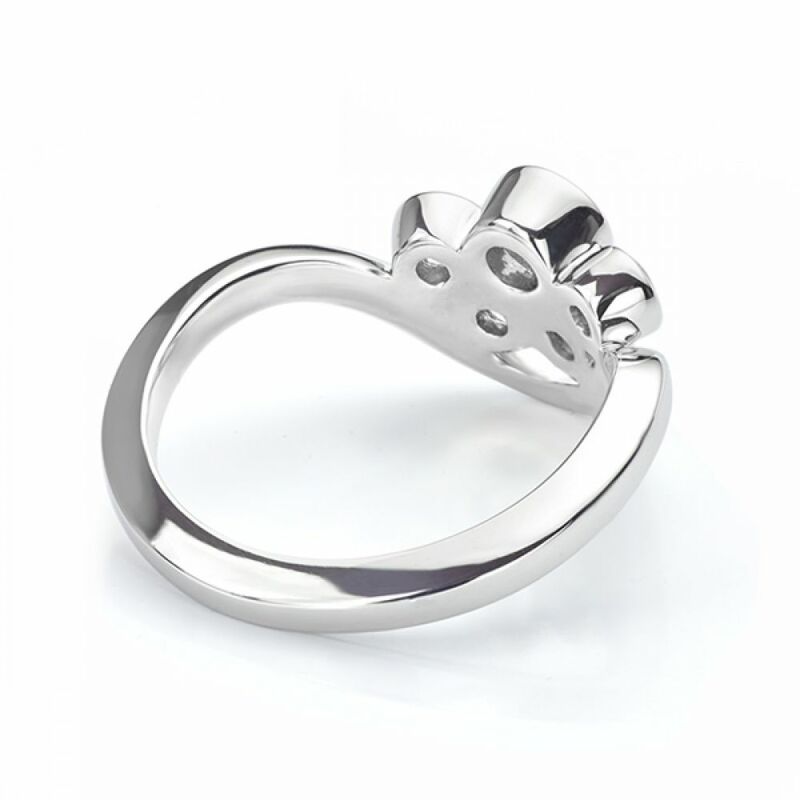 The Odessa Diamond bubble ring is crafted over 3-4 weeks to create an entirely unique ring design. 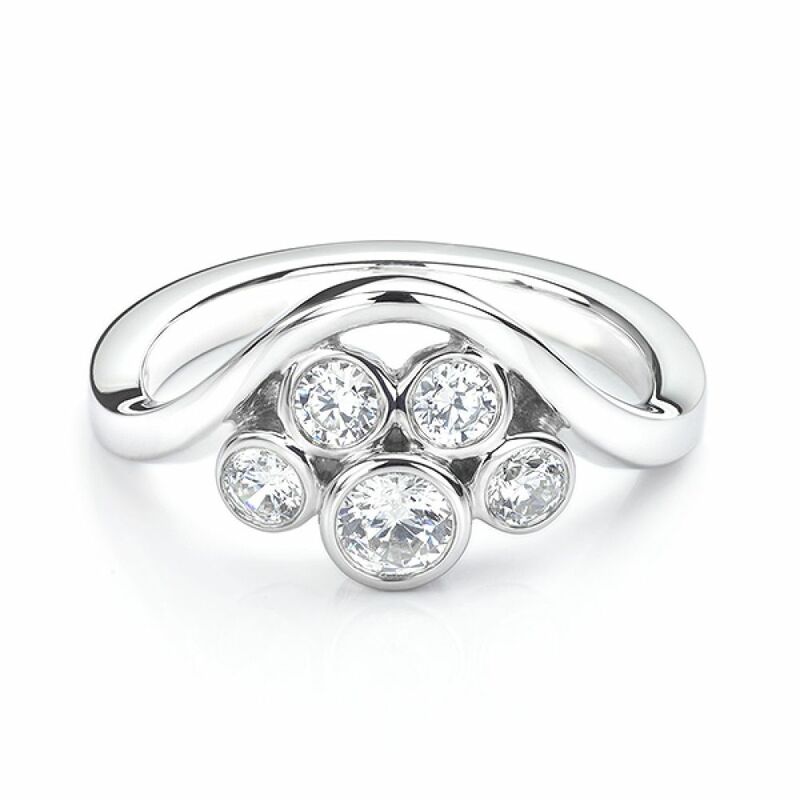 A finely sculptured band flows seamlessly around the ring, caressing a symmetrical arrangement of bezel set Diamonds. Each Diamond is hand selected and matched by our resident gemmologists, to create a beautifully balanced, dazzling ring design—mirror polished to perfection. Within the ring, we set 1 x 3.75mm (0.20cts) Diamond alongside 4 x 2.5mm (0.24cts) Diamonds secured within skilfully polished bezel settings. Choose from a wide range of precious metal combinations in several exciting combinations including 100% ethical, traceable Fairtrade Gold. Each commission is individually hand made and delivered beautifully boxed and presented in pristine Serendipity packaging. Always hand delivered by secure courier to your door, with worldwide delivery available. Shown here in Fairtrade 18ct White Gold, the Odessa design dazzles with 0.40cts of precision faceted round brilliant cut diamonds.